Description: (Shot with Spark) There are very few structures in the area that could be called historical remains. The history of Uzungol is tied in with that of Trabzon’s. 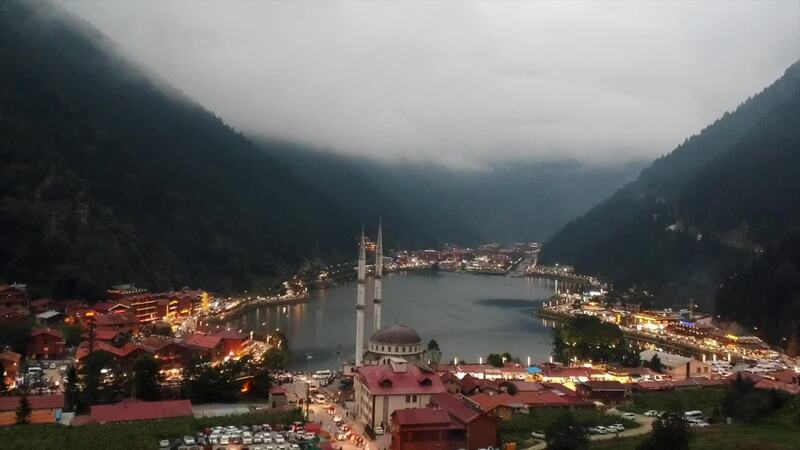 Trabzon's ancient name was "Trapezos". This means “table”. The old city had been built on a narrow hill which stretched down to the sea in the shape of a table. Trabzon was built during 800 B.C. as a colony of Sinop. Later, from 1204 to 1461 it enjoyed a wealthy period as the capital city of the Ethnic Greek Pontus state. Trabzon was a metropolis until Yavuz Sultan Selim became governor of Trabzon around the beginning of the 16th century, and was occupied by Russia for about 2 years during WWI. During the latter period battles were fought with the Russians and local Ethnic Greek brigands in Uzungol and Haldizen. The graves of the Turkish martyrs are still in the Haldizen valley.